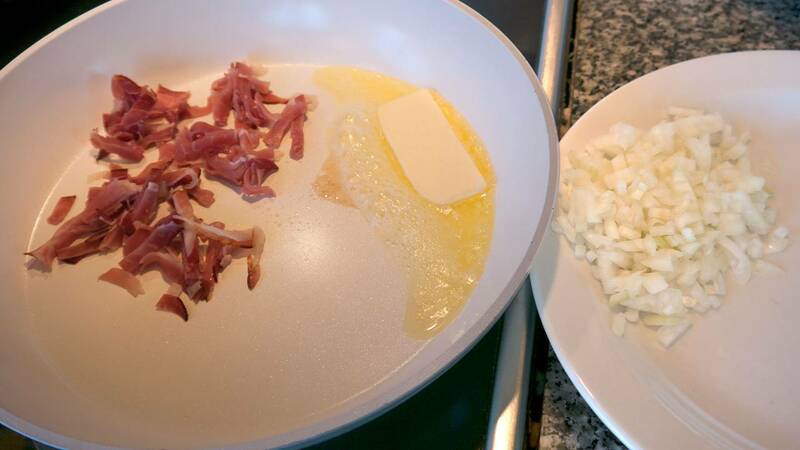 If you you use dried dried bacon or ham, then melt the butter. 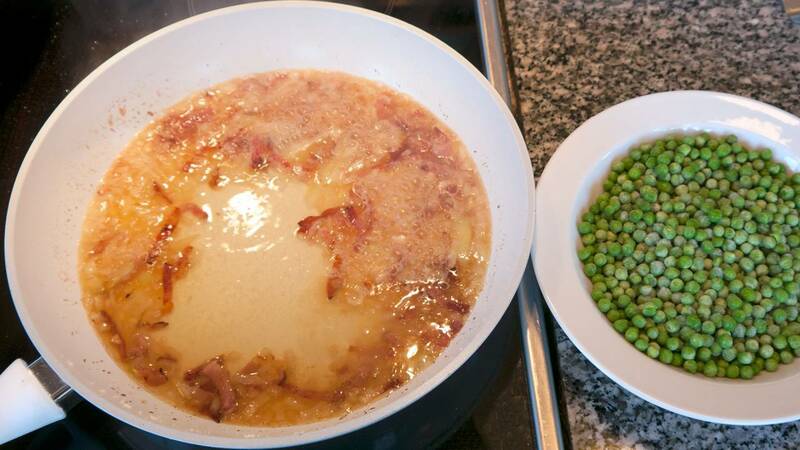 Otherwise, just fry the bacon. 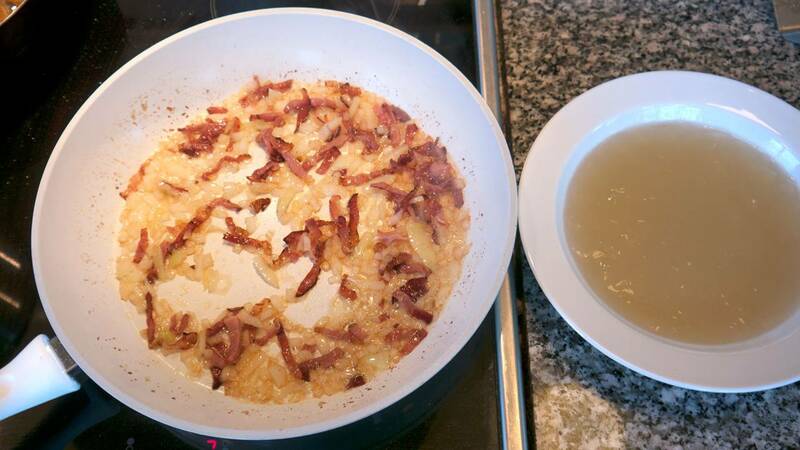 When the bacon begins to crisp, add the onions and fry them until they are translucent. Add the stock. 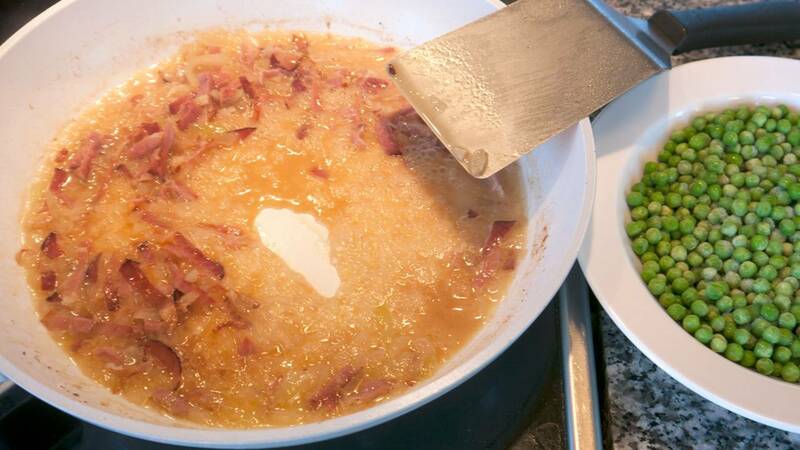 Reduce it under high heat until it is slightly thickened. 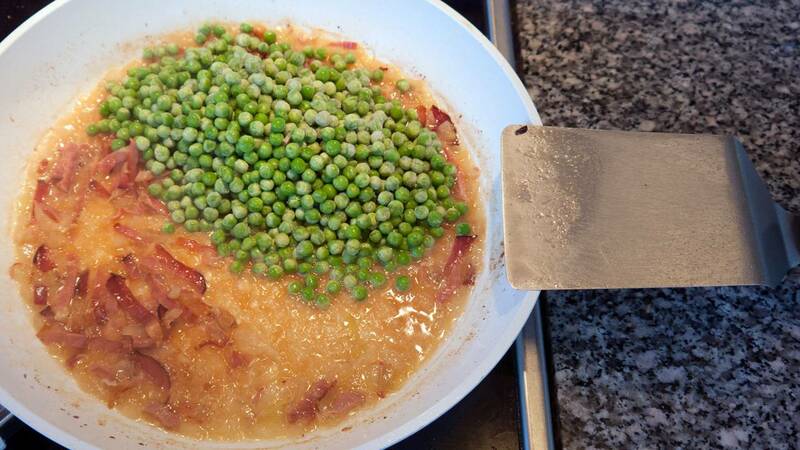 Add the peas. 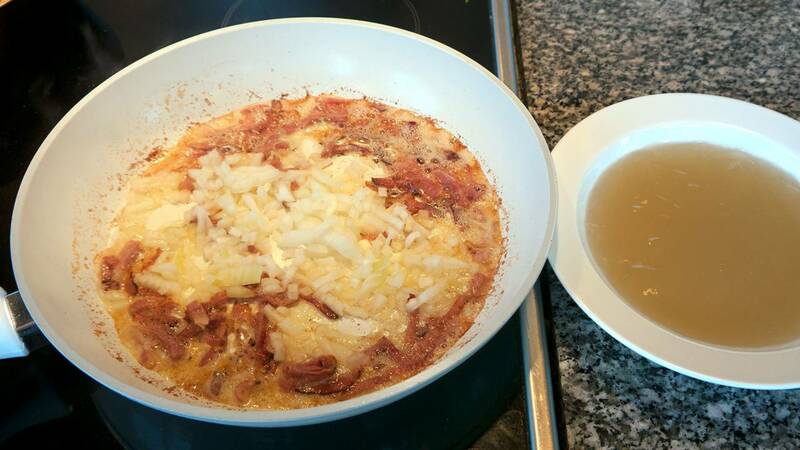 Let them simmer until tender. 2-5 minutes. 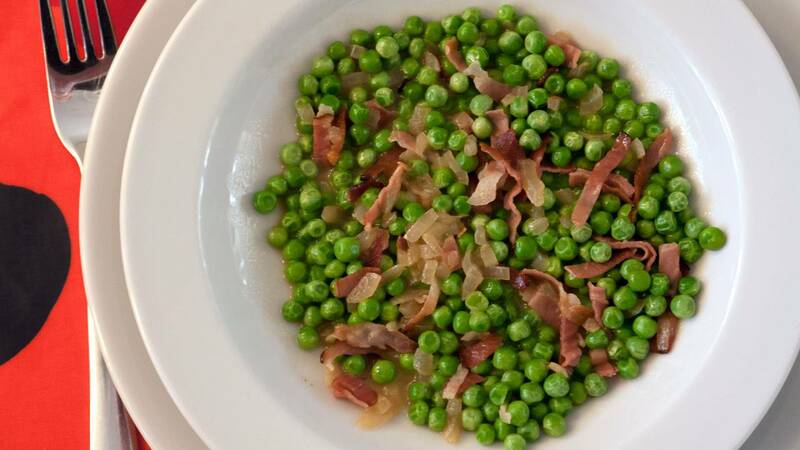 If you use dried bacon or Black Forest ham, as I do in the pictures, you only need 100 grams. 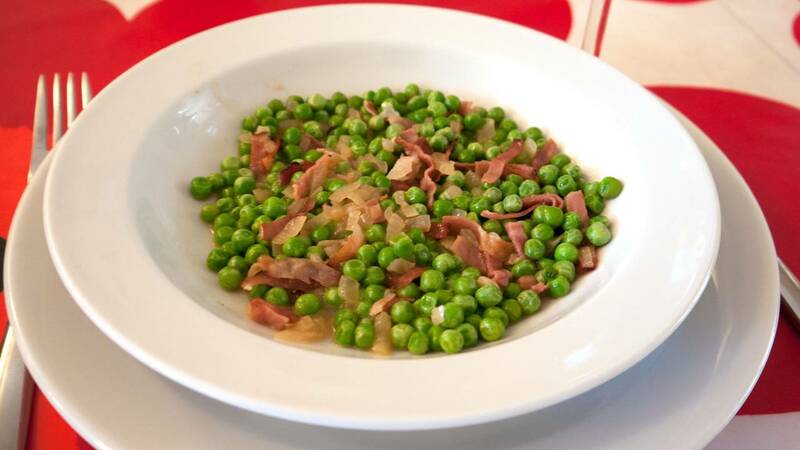 Dried pork has a stronger taste and contain only a little water. 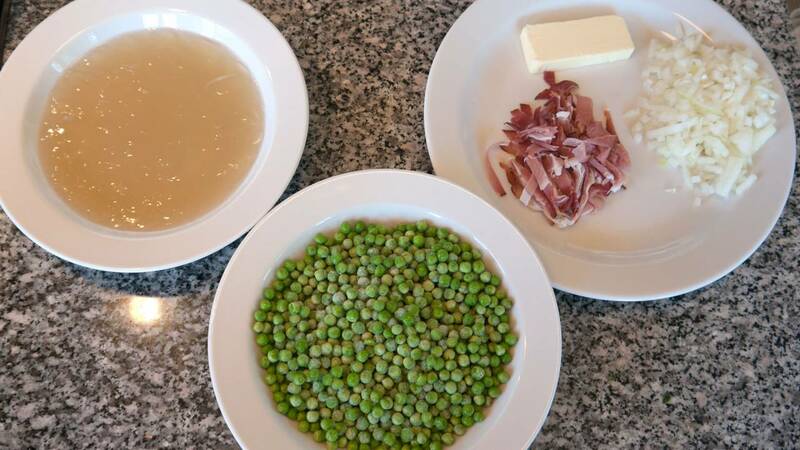 And you need 50 grams of butter, like I use in the pictures. Can be served with all kinds of meat. 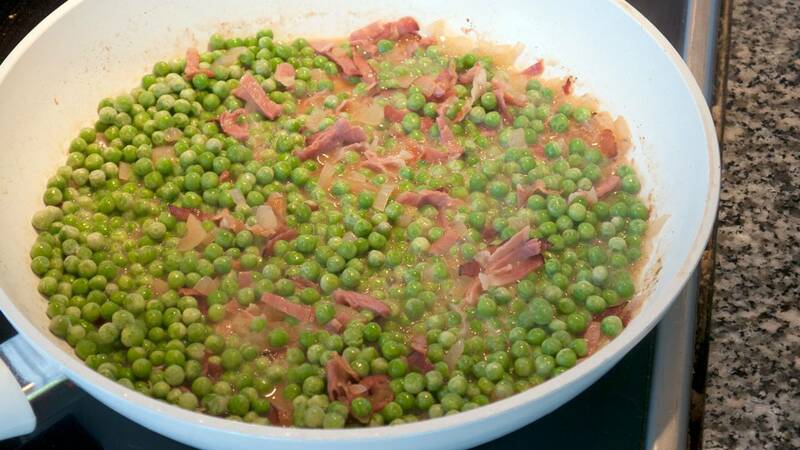 French peas are usually made without stock / glace, but it sure do make it taste a lot better. You could make them without stock for everyday use and with stock when you are having guests over.